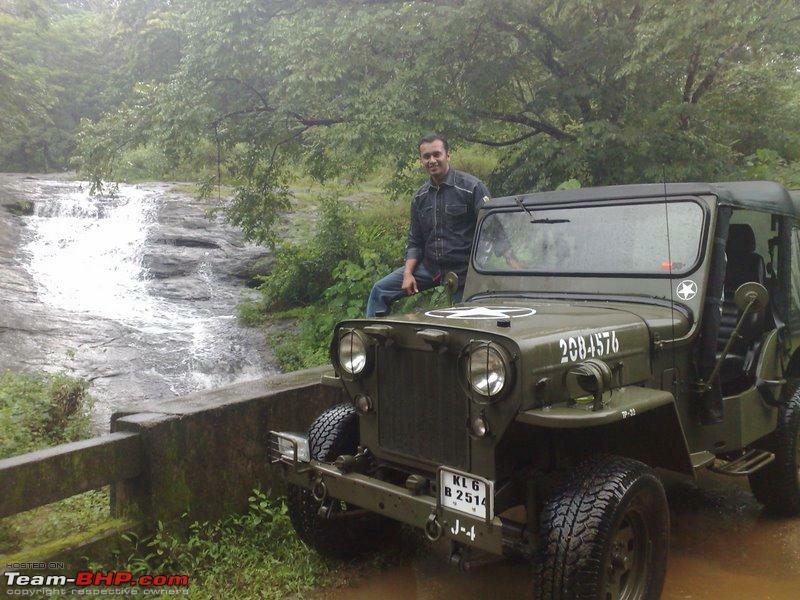 I thought I will share my experience of travelling through the old Aluva-Munnar road in Kerala. 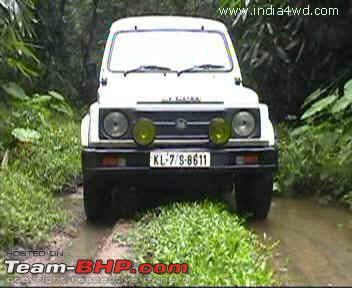 I have gone through the Old Aluva- Munnar road in 2002 in my Maruti Gypsy King. 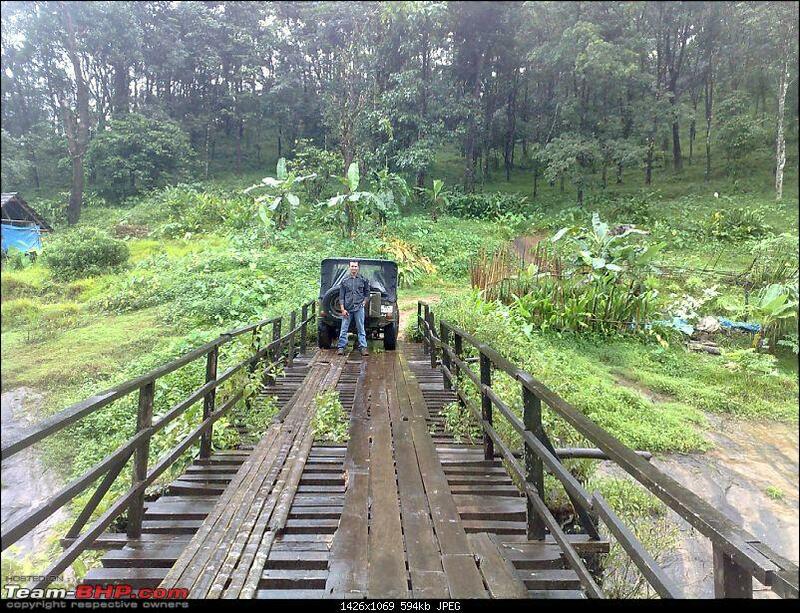 This was the road build by the British and there is one iron bridge built by them still in use. It was very scenic and beautiful. There is also a very beautiful water falls called Perumbankuth. 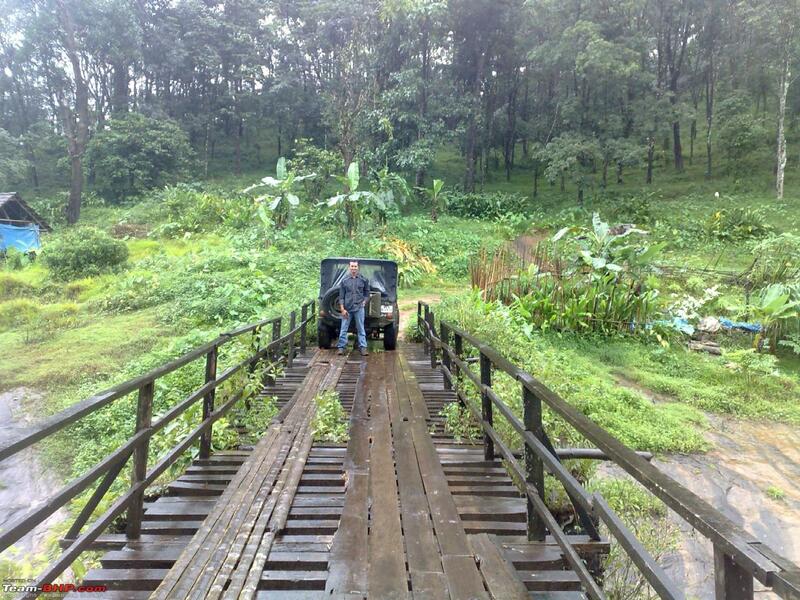 There were two or three river crossing, log bridges etc. 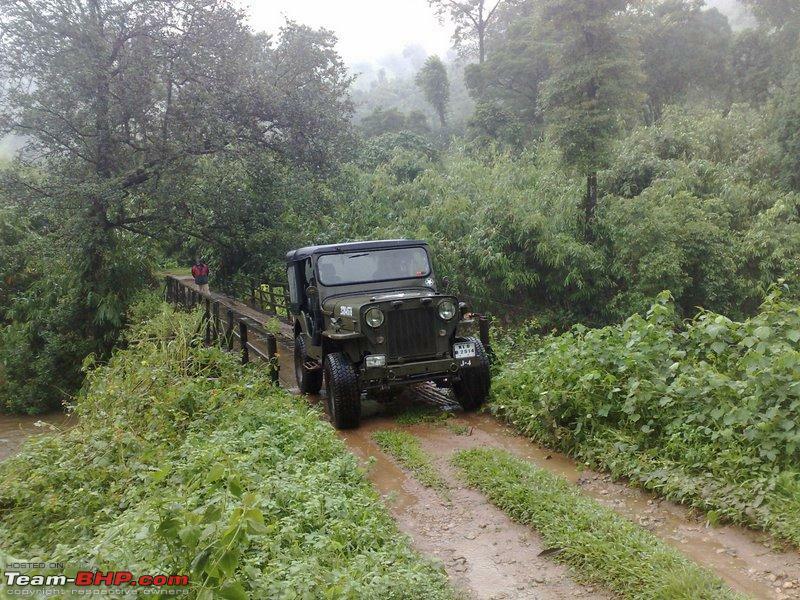 You will require a good 4x4 vehicle like a Mahindra major, mm540, Gypsy or Gurkha. 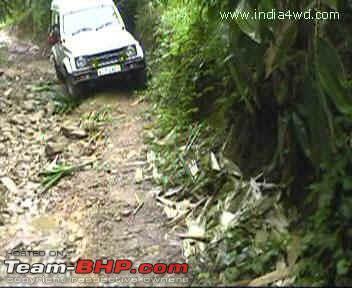 This route is not for vehicles like scorpio 4x4 or any SUVs. I went through this route this route again this year in my friend's cj340 but to my surprise almost 50% of this route was tarred. Remaining road will be tarred in the coming years. 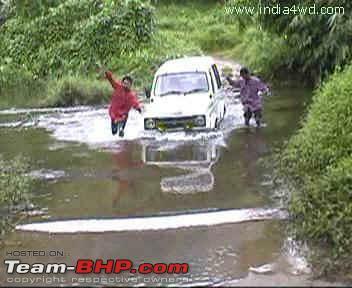 So guys those who want to enjoy offroading and explore the nature go now, may be in the coming years it will be a well-paved road. Please excuse me for the poor image quality as it was extracted from a video file. 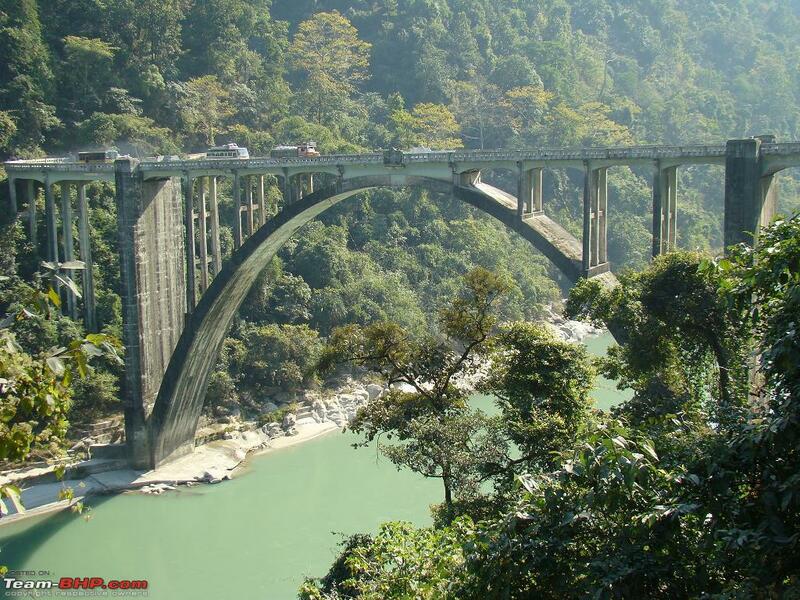 This was the road build by the British and there is one iron bridge built by them still in use. 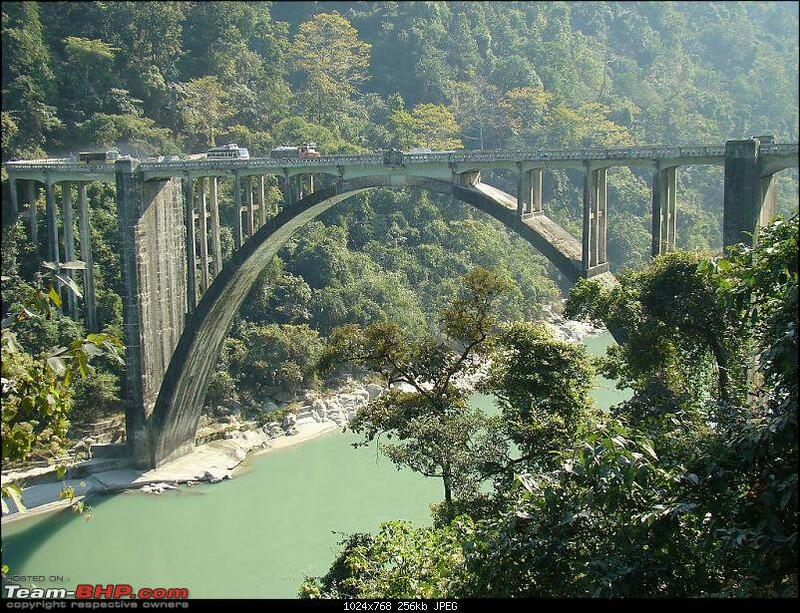 Reminds me of the Sevak Coronation bridge on the way to Darjeeling. Great find, exploration and route! Which sections remain to be tarred? And I presume the road joins NH49 after Adimali? great oics mate, but guys what if you had got stuck in some non decript place? WOW - must have been quite an experience!! 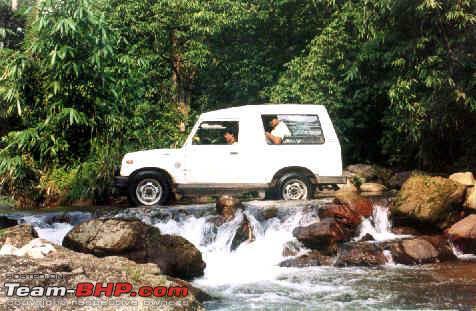 Why do you feel the route will not suit other 4x4's like the Scorpio/Safari ? Very interested to know more details. how many kms. how deep are the streams, any fallen trees? 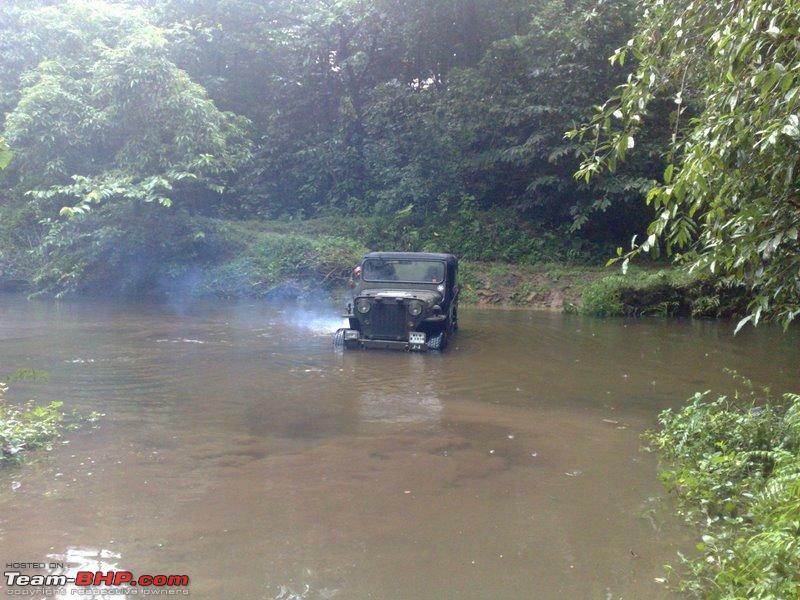 did u have any lift kits/snorkels/winch, any other necessary extra gear. Looks nice. Looks bikeable in places, and in dry season! 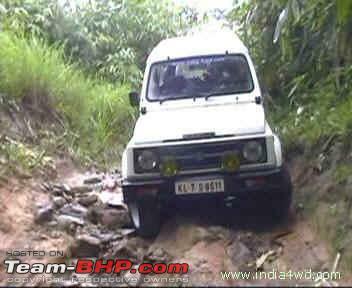 Dear VAK , nice pics , if i remember correctly you had a website called 4x4india.com or somethung like that? Great find. What is the total distance of this stretch. 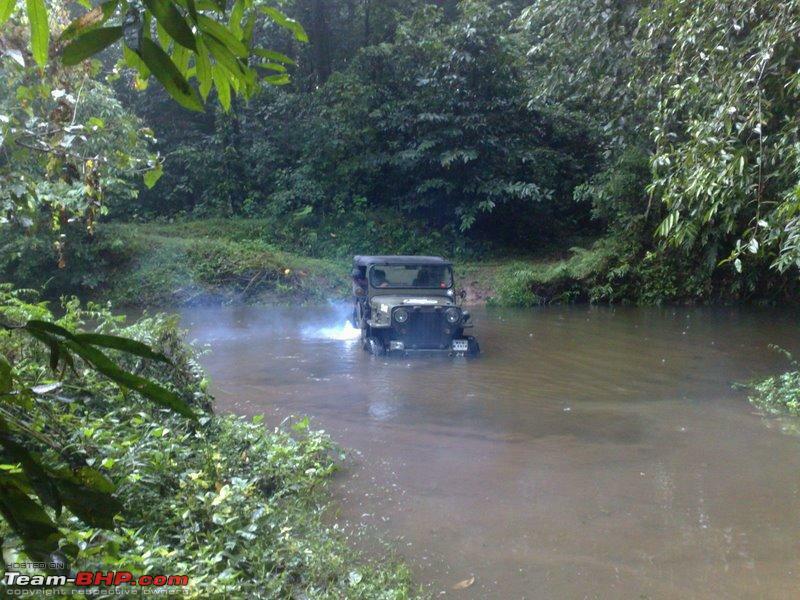 Were you in 4 WD all through? Which was the toughest part ? I have a gypsy too. 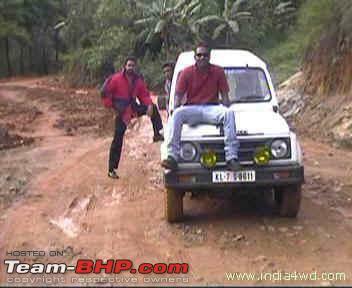 Intend to drive through this stretch during January 2009, when I am visiting Munnar. Please enlighten us . 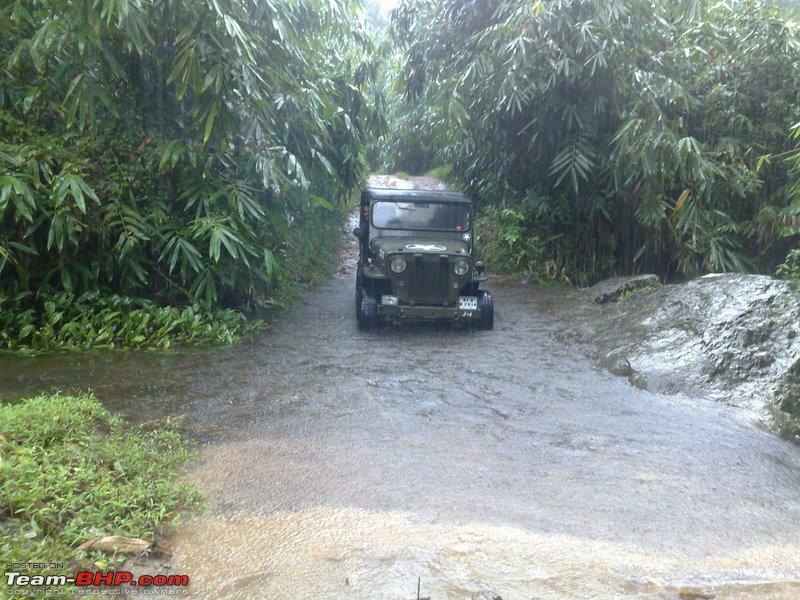 Nice pics VAK...as Kb100 mentioned " why do you feel that the route is not suitable for other SUVs like Scorpio ,safari etc"
This road starts from Aluva and runs parallel to NH 49 to reach Munnar at Lachmi Estate. 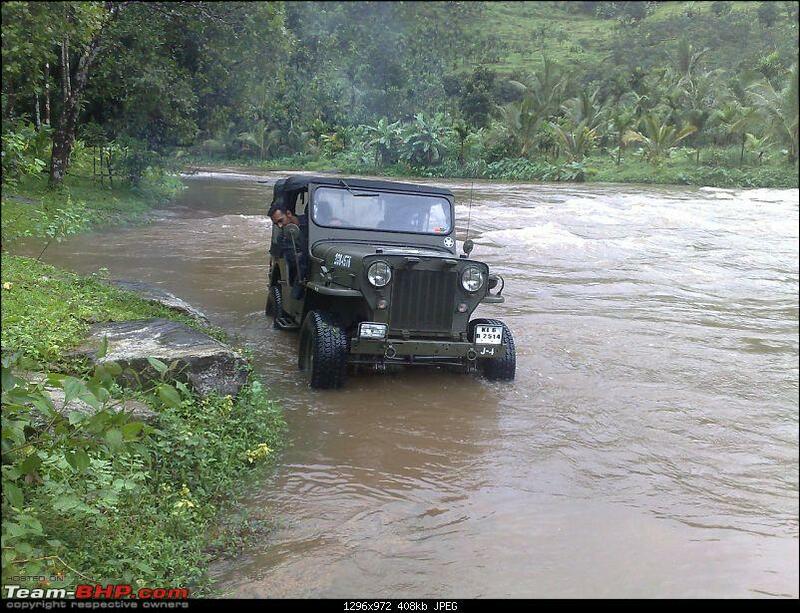 However, there are roads at few places, which connect this old Aluva-Munnar road to NH 49. 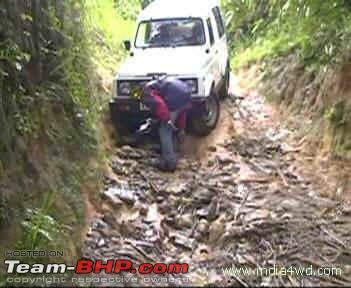 You can take detour through these roads, actually these road are really the escape route if some thing goes bad. I had to take a detour in one of the trips, when I had puncture on both the rear tyres. You can reach a place Kallar after Adimali. I believe you are referring to this. 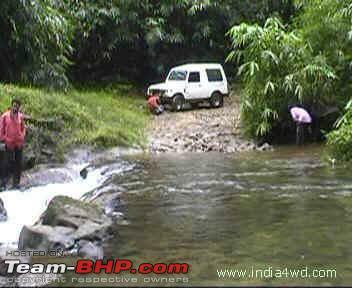 Yes, you are right, I had a website called www.india4wd.com It is no longer in existence. I carry all the supplies like food, stove, rope etc. We like to make our own food. Only change I made to my vehicle was the fitment of 235/75R15 Bridge stone Duelers, every thing else is stock. 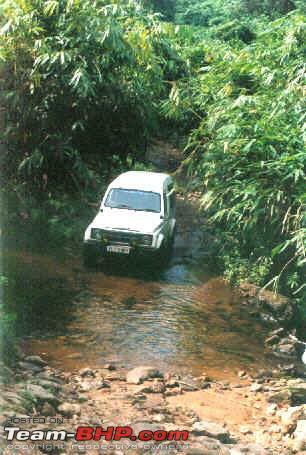 Some streams are deep and others are shallow, the deepest one was upto the level of the headlights. We had to encounter one fallen tree. 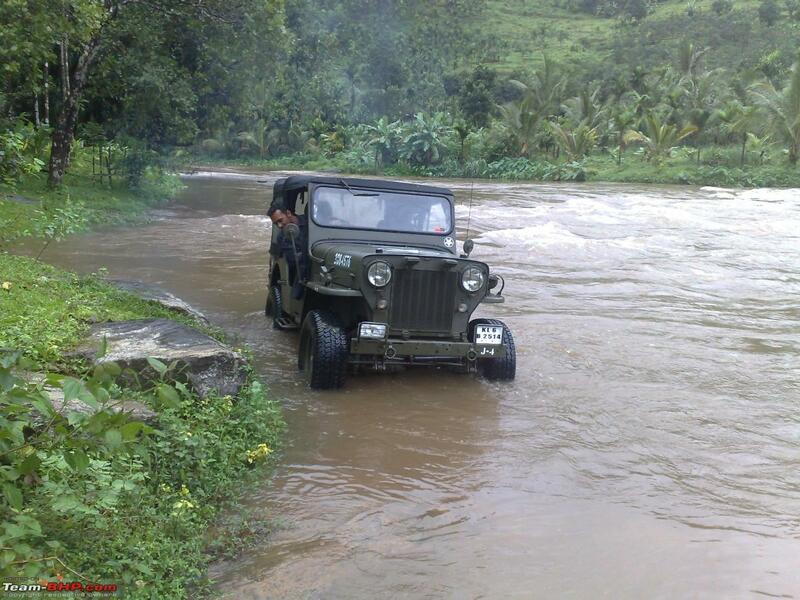 In the last trip in my friend's Willy’s Jeep, we had to abandon a river crossing as it had swollen due to heavy rains. I always cross the river on foot, then only I drive across. 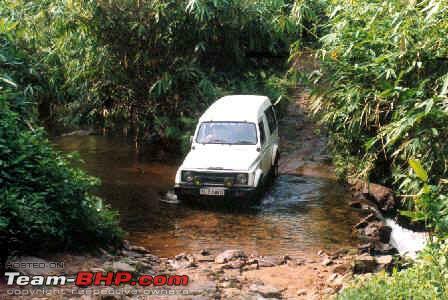 I think SUVs like scorpio 4x4 or a safari 4x4 will have to struggle, especially at river crossings. 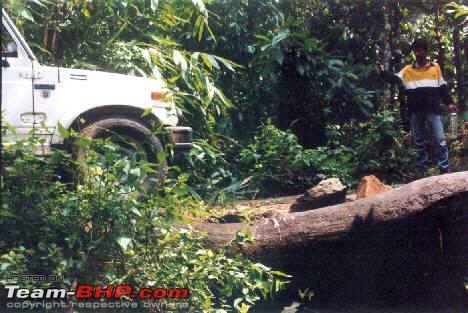 But during drier months I think safari 4x4 can do it. 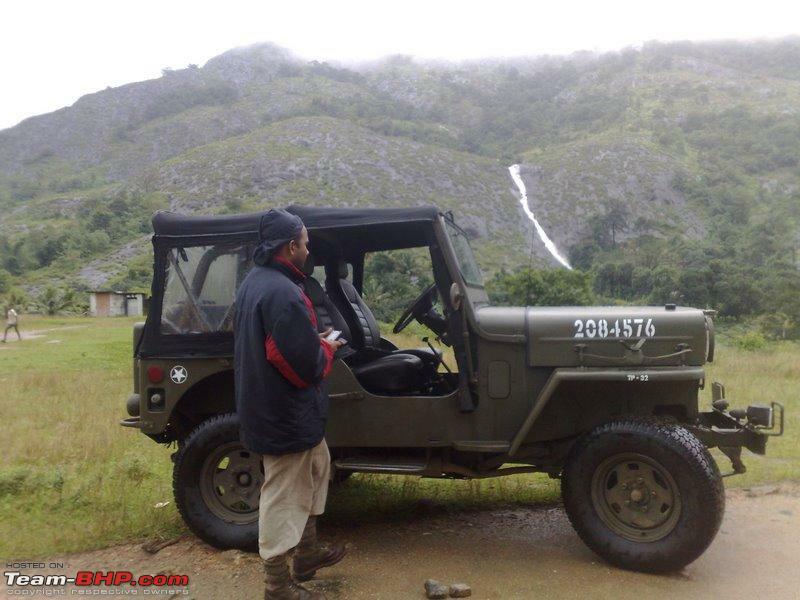 I am hereby attaching the photos of the trip made in my friend Willy's jeep few months back. You started a thread which interested everyone here. But abruptly ended. Want to hear more of this stretch. 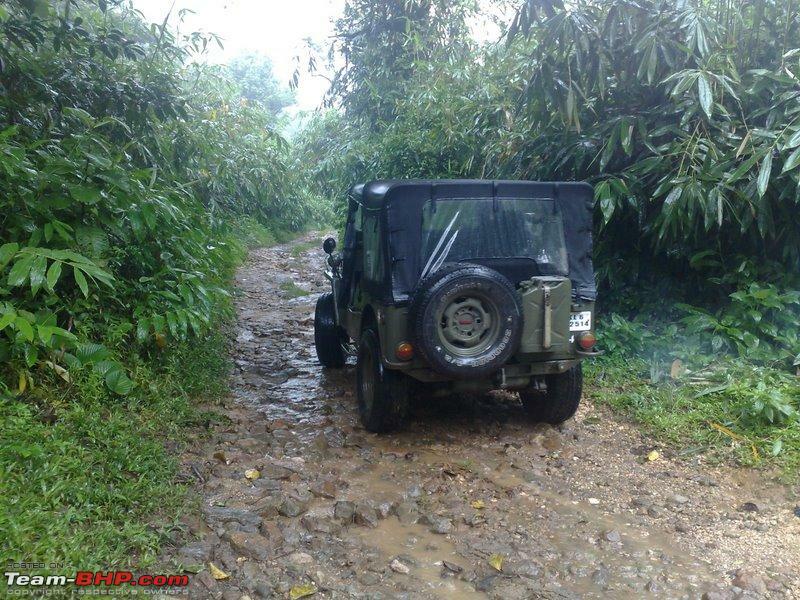 I was thinking about beautiful jungle road to experience the beauty of green and a challenging road to test my Major 4X4 which i will get within a month Thank you very much.I am sure you had experienced one of the most memorable moments in your life with your gypsy. Please share more pictures and route details if we are coming from Calicut. This is one of the longest OTR stretch in kerala. 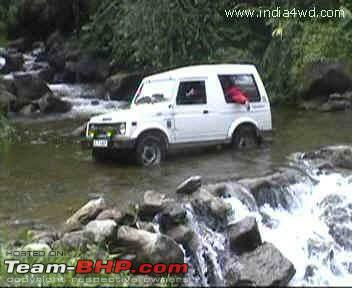 The total distance will be approx: 100 plus kms with more than 7 river crossing, and out which, few are almost impossible. The bamboo, stretch you see is called "annapara", has maximum number of elephants. When we did for the first time, we could complete only 20% of the stretch, as the water streams were over flooded, and we got scared of the elephants. Will plan this stretch during summer. Dwarak,any plans?or lets plan one soon.Let me know as iam from Aluva and try and collect more info incase require.